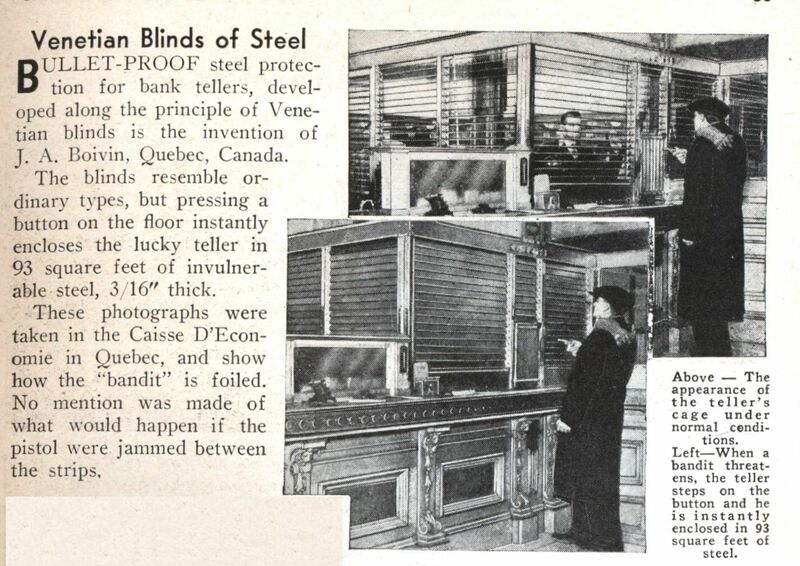 The blinds resemble ordinary types, but pressing a button on the floor instantly encloses the lucky teller in 93 square feet of invulnerable steel, 3/16″ thick. 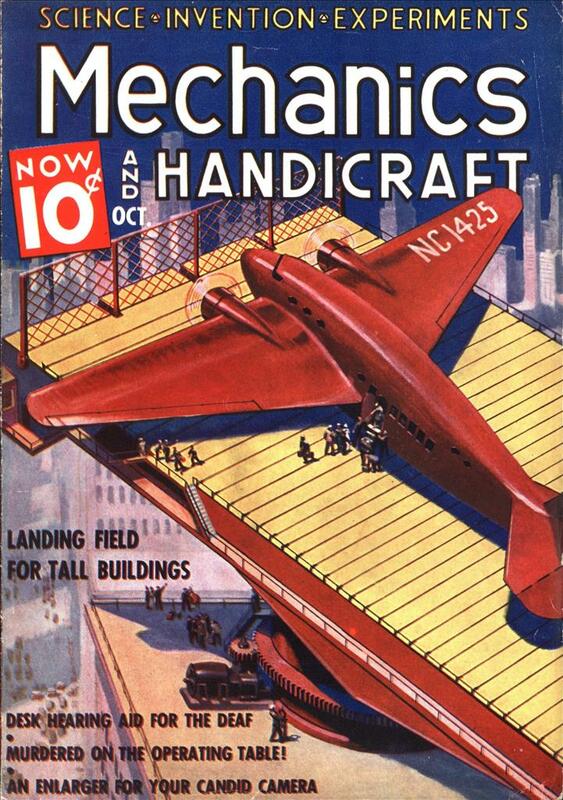 Hmm… those strips look about four foot long, and only a couple of inches wide. My guess is that if you push against them, it wouldn’t take that much force to bend them apart enough to poke a gun barrel through.